There is nothing better than going to a music concert to see your favorite band or artist performing live. The same can be said for those that go to music festivals. 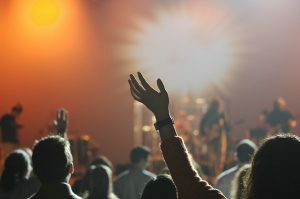 Whichever one it is, there are 8 important things every concert goer should make sure they bring along with them. While you can still have fun or enjoy the event, attending either a music festival or a concert without these items can make a huge difference. But just what are these items and why are they so important to making sure you enjoy yourself more? Read on to find out. While it goes without saying, going to a festival or a concert without cash will definitely diminish your chances for enjoying yourself and having a great time. One of the reasons for this is because most concerts or events end up taking a few hours. Some can go on for more than 3 to 4 hours. Spending at least 3 hours or more without food or drinks can be very hard on anyone. In addition, there will most likely be souvenirs, band or artist swag items for sale there as well. Do everything you can to make sure you have enough cash in hand, just in case. Many people who attend concerts or festivals for the first time, end up regretting not having earplugs afterwards. If you get to sit or stand in a place too close to the soundsystem, your ears may never forgive you. A lot of event goers go through weeks of hearing problems after attending them without ear plugs. What’s worse, some end up suffering permanent hearing damage. A good pair of earplugs only cost about $10 t0 $16. However, they may end up saving you ear and headaches down the road. Depending on what event you are going to, having pockets or a fanny pack can make a huge difference. If you go to an event where you have to stand for hours, carrying a purse on your side can be tiring and burdensome. Also, if you are in a packed event where everyone is close and bunched up together, you can easily be pick-pocketed. Having a cross bag or fanny pack, offers many advantages. For one, your hands will be free to clap, wave, take photos and do just about anything. Secondly, your belongings will be more secure since you can keep them in front of you at all times. Although looking stylish may be nice for taking pictures and looking great, it is not recommended. Chances are that you are going to be on your feet for at least a few hours. Having comfortable shoes will also allow you to dance and move your feet more easily during the event. Some people usually wait a while in line before the event actually starts. Waiting in line without comfortable shoes, can be a nightmare which your feet will never forgive you for. So while heels or high boots are great, comfortable shoes are a smarter choice. It doesn’t really matter if you are not going to an Adele or a romantic type of concert. Many people end up getting really emotional in front of band or an artist. It may due to the moment taking place in front of you. Or perhaps hearing your favorite song come on. Having some tissues with you, can make sure you are ready for this if it happens. Also, try to imagine having to blow your nose without a tissue? Yes, not a nice thought. Even though most of us have smartphones which take great photos, having a camera is also something you should consider. There are now really great small, slim digital cameras available. A real camera is also a good backup in case your cellular phone ends up dying. Remember, nothing says how great an event was like a photograph. Imagine that you get to be one of the lucky ones who gets to see your favorite artist come close to you? Now think of how you would feel if you didn’t have a sharpie with you to have him or her sign something for you? Pens run out or seem to give up on us when we most need them. On the other hand, sharpies are always ready. Nothing better than to have the artist of your dream sign your shirt or anything else you have with you. Just like bringing a sharpie with you is important, so is bringing along something for your artist or band to sign. While getting someone to sign something on your body is awesome, that autograph won’t last forever. However, bringing a poster, hat, or anything else and getting it signed will. Just make sure that whatever you bring is not something that can be burdensome.